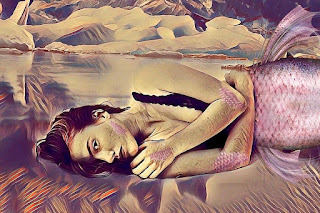 Starting this Friday my Fiction Friday posts will be an ongoing tale of war, love, betrayal, revenge, and mermaids. I have decided to share my beloved mermaid tale Depths of War right here on my site for free. That's right... free. So be sure to check in this Friday for the first installment.